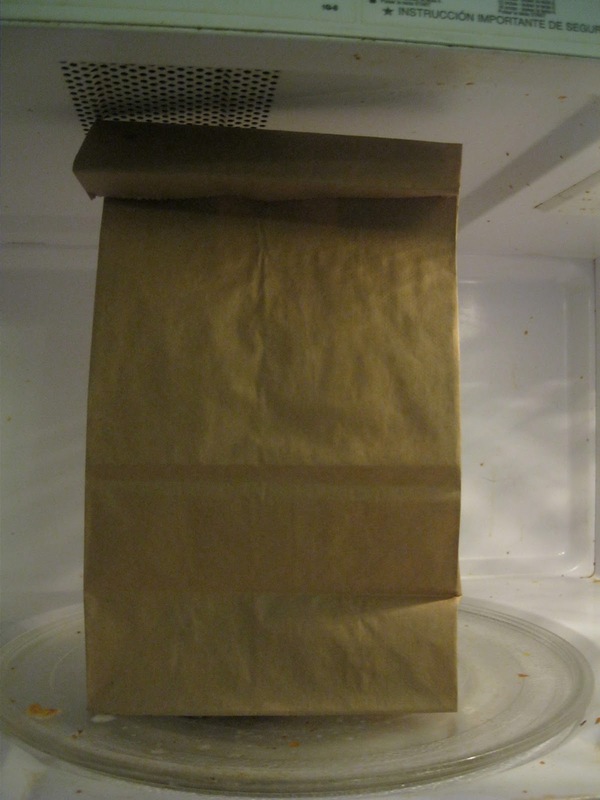 Many of you have probably seen articles on making your own popcorn in the microwave without buying those expensive bags from the store. 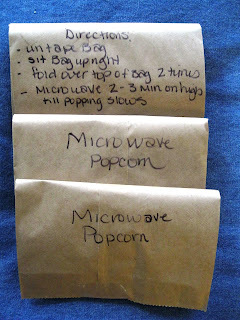 If you have tried the microwavable popcorn bowls or made your own in a popcorn popper, your kids who have never had the oldfashioned popped popcorn in their life may tell you that it's too "chewy" and they like the microwave bags better since they make a crunchier popcorn. You maybe looking for ways to save money on your grocery budget, and snack foods can zap a huge chunk out of your budget. 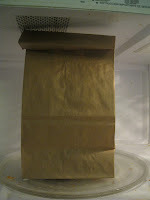 A bag of brown paper lunch bags and a bag of regular popcorn(especially if you buy in bulk) will be a lot cheaper than the boxes of name brand microwave popcorn. Maybe you are trying to snack healthier or just want to know what is in your foods. Regardless of your reasoning, making your own microwavable packets are great for saving money ( way cheaper!) and also great for convenience like taking to work, leaving for your kids to make or for the sitter. This popcorn will taste crispy when popped just like your used to, and only needs you to top it with your own seasonings. I use non-stick cooking spray (olive oil) and a dash of salt. but your choices are endless. Worried about the use of the paper bags? You can easily use these bags for another batch (if you don't pour butter or oil into them while seasoning the popcorn) or can be shredded for the compost bin or even recycled. 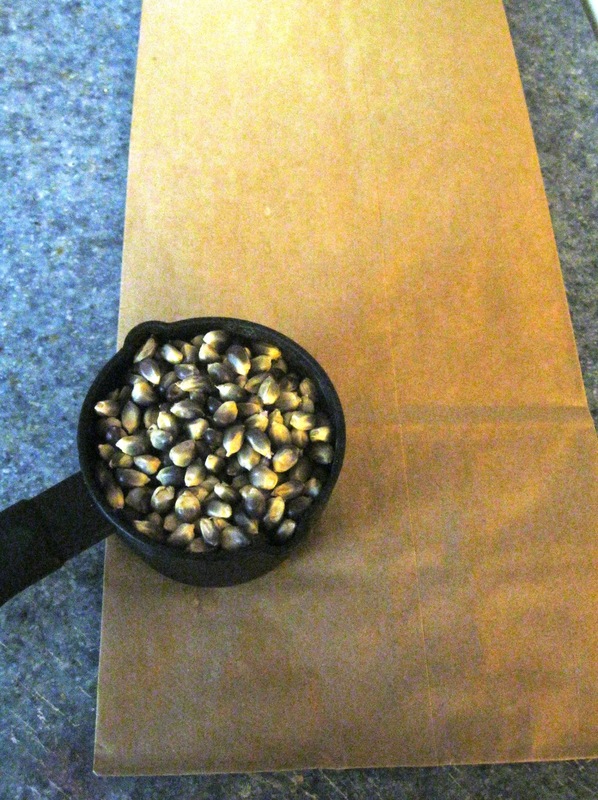 Pour 1/2 cup popcorn into a paper bag. 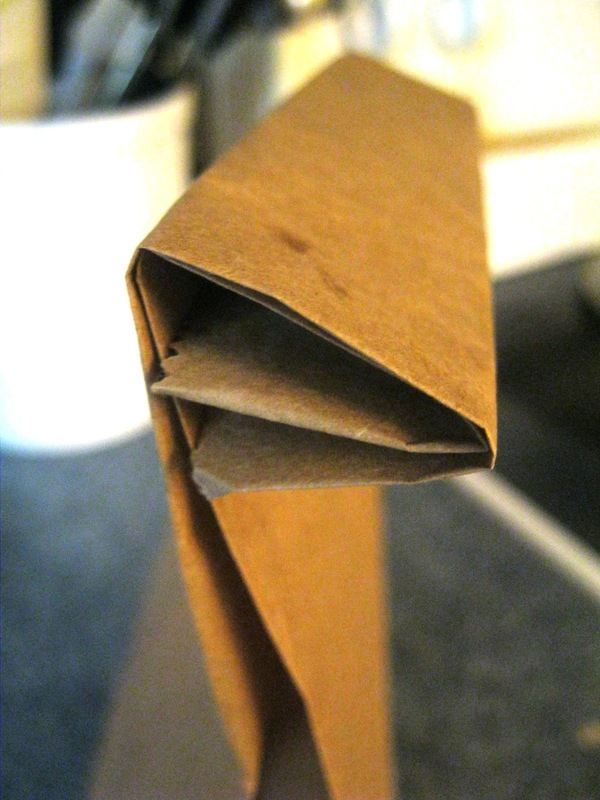 Starting from the bottom of the bag, roll up the bag on itself and seal the top with a small piece of tape. Label directions on one side if desired and Microwave Popcorn on the other. Remove tape from bag. Unfold the bag and sit upright. Roll the top of the bag over 2 times. Mine popped for just under 3 minutes. Remove from microwave, and season to taste. hmm sounds great, my kid could live off of popcorn! So could I! I am a popcorn fanatic! It's better in an good ol' kettle anyway! Hope your daughters like it though! Such a great idea! I would love for you to link this up to me Feature Friday Linky Party. I have some brown paper lunch bags at home that seem kinda on the thin side, will those work or do I need to try & find some thicker paper bags to try this method with? 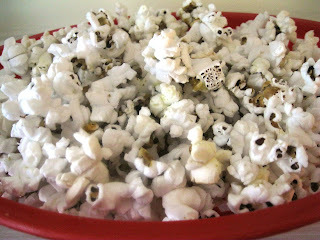 I love popcorn & it's not always feesable to bring prepopped popcorn with me to work. I don't really like the microwave popcorn bags as its too greasy for my liking, plus I like to snack at my desk & not have to worry about a greasy residue on my keyboard & such. I don't want to have to lug my microwave popcorn bowl with me to work every day either.